Paris: Cristiano Ronaldo scored twice on his 400th Real Madrid appearance as the Champions League holders defeated Borussia Dortmund 3-1, while Harry Kane grabbed a hat-trick in Tottenham Hotspur's 3-0 win at APOEL Nicosia on Tuesday. Gareth Bale struck an exquisite volley as the record 12-time European champions secured an 18th-minute lead at Signal Iduna Park, with the Welshman supplying Ronaldo for Real's second just after half-time. Pierre-Emerick Aubameyang poked in Gonzalo Castro's cross to give Dortmund hope, but Ronaldo rifled past Roman Burki to cement a second straight win for Real in Group H and leave the Germans still without a point. 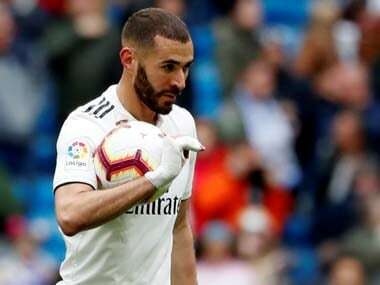 It was the first time Dortmund have lost at home to Real in seven European games while holders Madrid have now scored in 38 successive Champion League games. "I’m delighted for Ronaldo and Bale," said Real coach Zinedine Zidane. "It is difficult to play in this stadium, we have never won here, so this victory was important to us, and the whole game was good for us from start to finish." England striker Kane notched his sixth hat-trick of the year -- and made it 11 goals for club and country in September -- as Spurs backed up their opening victory over Dortmund with a comfortable win in Cyprus. Mauricio Pochettino's side survived an early scare when Igor De Camargo rattled the crossbar, but Kane's clinical finish six minutes before the interval settled the visitors down. 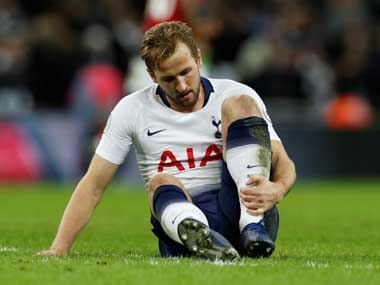 Kane converted his second on 62 minutes and sealed his treble with a terrific header five minutes later to leave Spurs level on six points alongside Real ahead of their double-header with Zidane's team. "There were some good performances from players who are not regulars and a hat-trick for Harry Kane, it was a fantastic performance," said Pochettino. 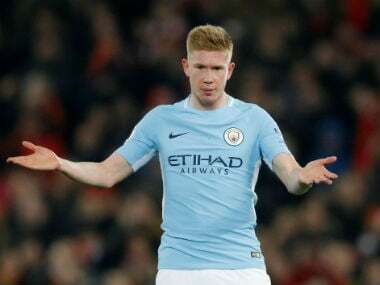 Kevin De Bruyne curled in a sublime 25-yard strike as Manchester City overcame spirited resistance from Shakhtar Donestk, with Raheem Sterling completing a 2-0 victory at Eastlands. Pep Guardiola's men top Group F after back-to-back wins to start the campaign, and the Premier League leaders could even afford a missed penalty from Sergio Aguero whose effort was turned away by Andriy Pyatov. Napoli goalkeeper Pepe Reina kept out Jens Toornstra's second-half penalty, as Sofyan Amrabat's stoppage-time goal was scant consolation for the Dutch champions who remain pointless. Coutinho linked up superbly with Sadio Mane to cancel out Fernando's free-kick in the 31st minute, but Liverpool were unable to claim a winner as they recorded a second straight draw in Group E.
"In the Champions League group stage, the only target is to go through to the next round. That's now possible for us. There were a lot of good things tonight," said a positive-thinking Liverpool coach Jurgen Klopp. Joaquin Correa's dazzling run left the French striker with a simple tap-in for the opening goal after 27 minutes in Spain. Ben Yedder then tucked away a second before the break and rounded out his hat-trick from the penalty spot late on as Sevilla moved top of the section on four points. Ryan Babel slotted home after fine work from Cenk Tosun and Talisca headed in a sublime cross from Ricardo Quaresma as Besiktas picked up their first win at home in the competition since November 2007.